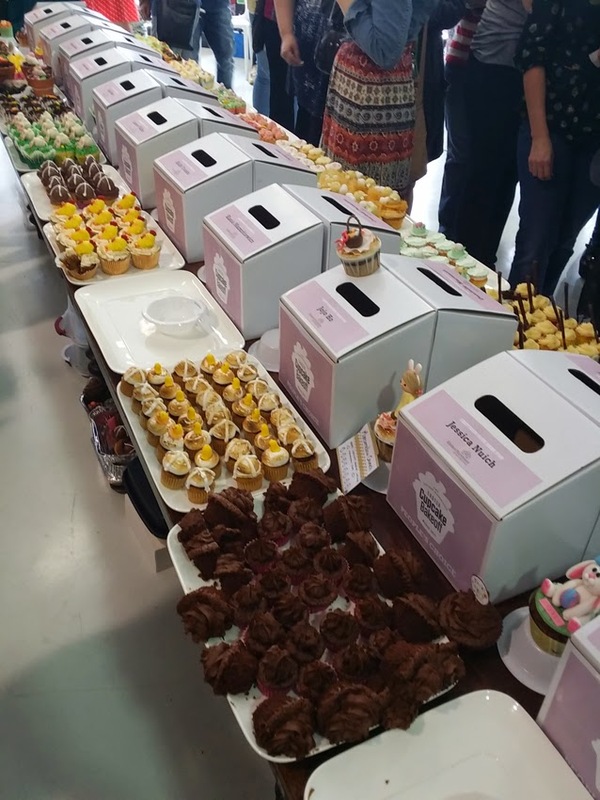 Kitchen warehouse ran a Easter Cupcake Competition last week and I'm one of the contestant. 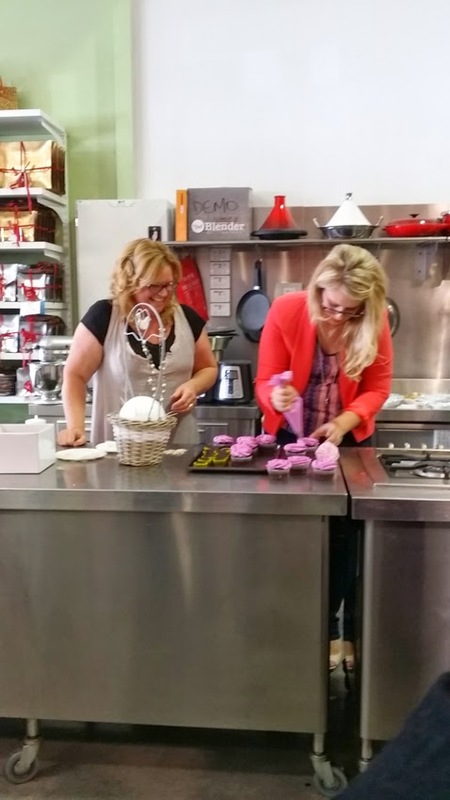 I was pretty nervous for a few days, thinking of the ideas, the flavours, and the whole look for my cupcakes. I think I have put too much pressure on myself and made a little wrong judgement on the cupcake hehe ops! Anyway, here are the contestants cupcake entries! They all look amazing! 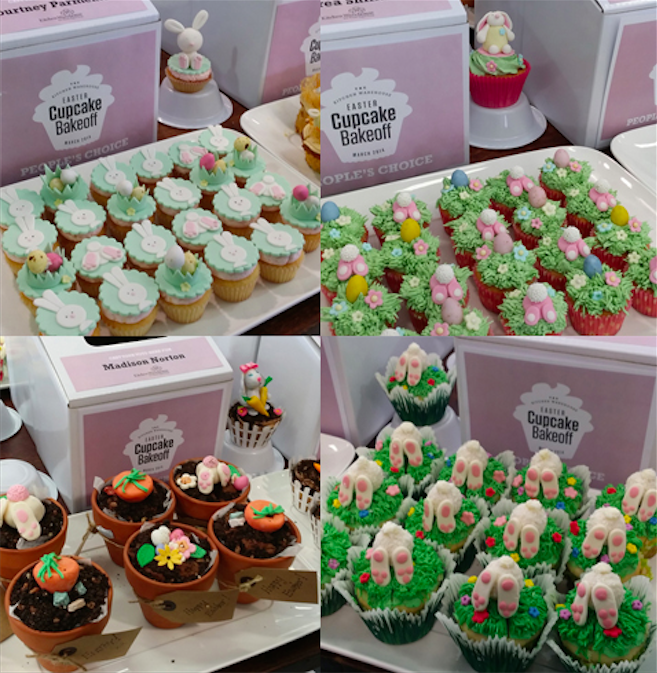 Here are some of the cute cupcakes.. This is my creation for this competition. 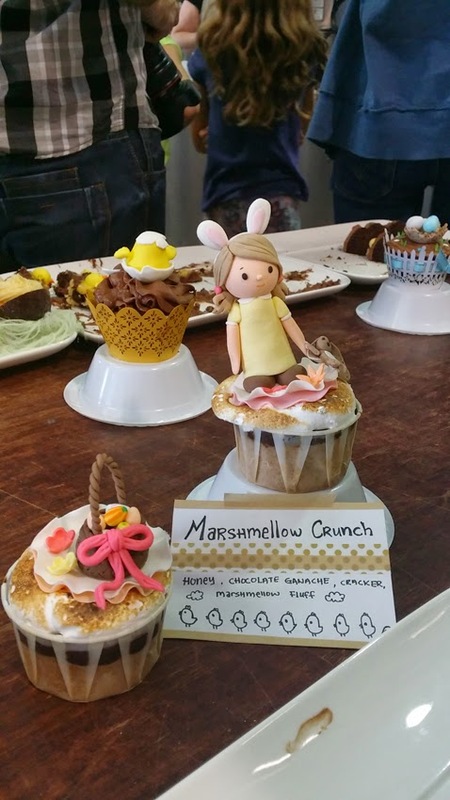 A little girl wearing bunny ears and holding a bunny toy, along with a basket of easter eggs, hot cross buns and chicks on cupcakes. I've made smore's cupcakes! Smores is an American thing which is Graham Crackers sandwiched chocolate and marshmellow. So what i did was grinding up the graham crackers and baked it into cupcakes, put the ganache in the middle and made marshmellow cream to put on top then torched it. Yep after saying all these, that means I didn't win.. hahahaha.. but i was really close! Missing by 0.5 points to the winner. Sugar spun on top! I love sugar spun.. it just add the classiness to it. 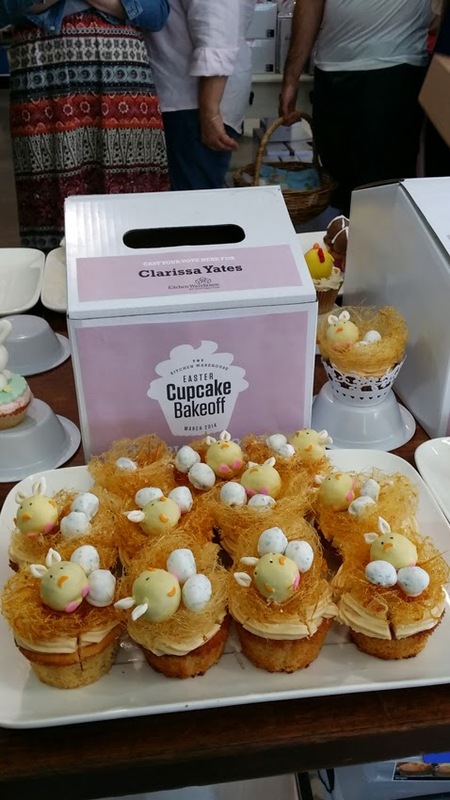 The popular Sandy from Sandy's Cake and her daughter was the judges and they were there to demonstrates cupcakes basket. This encourages everyone to bake something and be creative! My cupcakes were all gone in 20 minutes and I have no refills. ops!! Wow... cute cupcakes! Already drooling. 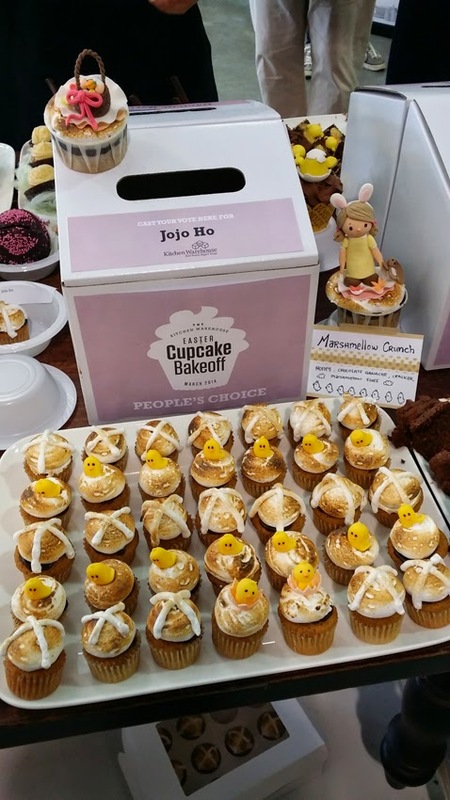 Your cupcakes were still the best Jojo! The flavouring was just right, not too sweet like the others at all!